Metline is a full line manufacturer of Duplex nuts and Duplex bolts in accordance with DIN, ASME, ASTM and ISO standards. 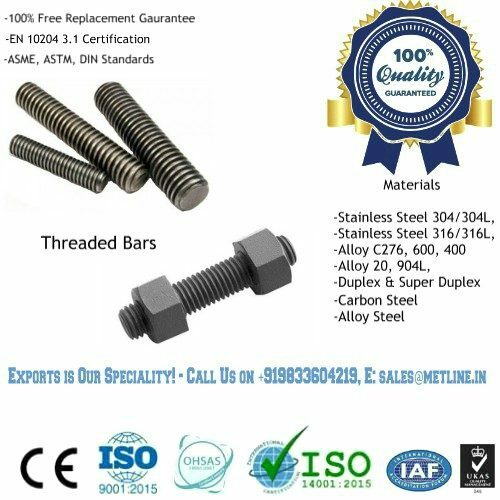 The most commonly used Duplex Alloys for manufacturing nuts and bolts are Duplex 2205, Super Duplex 2507, Duplex UNS S31803. 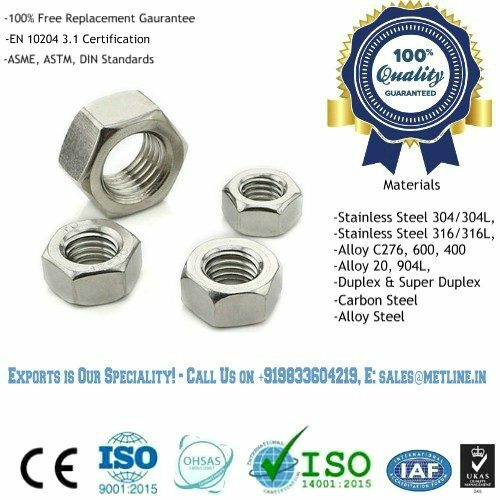 The most common grades for manufacturing Duplex Nuts & Bolts and other fasteners are UNS S31803 and UNS S32205. Metline offers a complete range of Duplex nuts and bolts such as screws, hex bolt, hex nut, flat plain washer, anchor bolts and U bolts. Metline is a specialist manufacturer of Duplex nuts and Duplex bolts in size range of M6 to M100, 1/4″ to 4″ in standard and custom lengths.